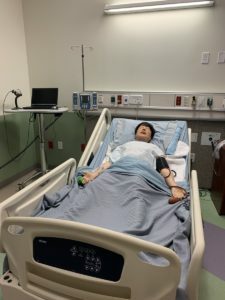 This post is written by NOCTI, a Platinum Level sponsor of the 2019 Advance CTE Spring Meeting. In the summer of 2018, the 115th Congress finalized the “Strengthening Career and Technical Education for the 21st Century” act and it was subsequently signed by the President with an effective date of July 2018. That legislation marked the next revision in the 100-year history of Career and Technical Education (CTE) and the legislation was dubbed “Perkins V” by the CTE community. This act was touted for its alignment to other pieces of relevant legislation including the Every Student Succeeds Act (ESSA) and the Workforce Innovation and Opportunity Act (WIOA). The additional flexibility provided to state CTE leaders was highlighted, and the law made a number of subtle changes that could impact the way individual states provide CTE to their learners. 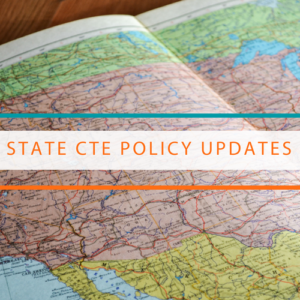 Though it may seem like a bit of an understatement, we believe that state CTE leadership is critical as each state outlines the opportunities for its workforce during this initial planning phase. Perkins V requires a needs assessment and suggests numerous voices that can be a part of that conversation. Leadership will need to identify the most important voices to be included and the type of input that should be expected. Perkins V requires state leaders to determine performance measures consisting of the core indicators outlined in the act. These measures must contain expected targets showing continuous improvement. 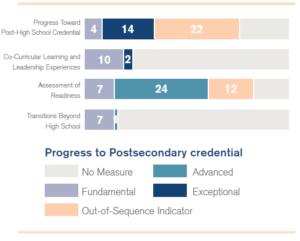 Perkins V includes some determination of secondary indicators of performance including a recognized post-secondary credential, post-secondary credits earned during the secondary experience and/or student participation in work-based learning. In addition, Perkins V provides a host of permissible uses of funds including initiatives such as statewide programs of study, statewide industry partnerships, and statewide professional development targeted to recruiting and retaining high-quality teachers. As a non-profit organization serving the CTE community, and as long-time practitioners of CTE, we recognize these challenges and applaud those bold enough to take this opportunity to improve our students’ technical competence and academic underpinnings. With a focus on data-driven improvement, NOCTI and its partners have served the CTE community for over 50 years. Our services and processes have continued to evolve over the past five decades and we understand the importance of a dedicated and focused state leader. NOCTI is available to provide helpful and relevant resources that state leaders can use in their planning activities. 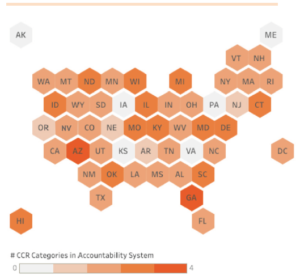 Resources include a collaborative series of books that include examples from over 40 states on CTE teaching, administration, and use of data for instructional improvement. Other resources focus on credentials that meet the WIOA definition of a post-secondary credential, while at the same time offer college credit meeting the requirements the secondary performance indicator. Resources are also available to address statewide professional development, workplace readiness credentialing and curriculum, customized state credentialing assessments, as well as digital badges and extensive data reports. Interested in knowing more about what NOCTI can do for your state? Seek us out at the upcoming Advance CTE meeting where we are pleased to be a sponsor! You can also reach us at nocti@nocti.org if you have more specific questions about how we can assist your state with a customized solution. Thanks for all you do; we look forward to seeing you in April! This post is written by Project Lead The Way, a Platinum Level sponsor of the 2019 Advance CTE Spring Meeting. CTE provides vital resources for all students, particularly those who may otherwise not see STEM career opportunities. This has become a mantra at Project Lead The Way (PLTW). While this statement applies to all students, many female, minority, or economically disadvantaged students may find it particularly difficult to see a variety of college or career options for themselves – especially in STEM fields. Yet STEM jobs continue to be the most in demand and highest paying. According to the U.S. Department of Commerce’s STEM Jobs: 2017 Update, STEM employment growth far exceeds growth in non-STEM occupations, and experts project that trend will continue. Career and Technical Education (CTE), including PLTW programs, give students opportunities to explore interests that can lead to lucrative and rewarding career paths. In order to break down barriers that may keep students from “seeing” career opportunities, PLTW works to increase diversity and equity in CTE. How can CTE programs across the country expand access to all students? Access to engaging, high-quality, relevant, confidence-building STEM experiences is vital for all students – especially girls – and the earlier, the better. Research published in the journal “Child Development” shows that children express the stereotype that mathematics is for boys, not for girls, as early as second grade. Additionally, 65 percent of scientists and graduate students interviewed in one study published in the “International Journal of Science” reported that their interest in science began before middle school. Since 2014, PLTW has expanded career learning well before middle school with the addition of PLTW Launch for PreK-5. PLTW Launch empowers students to adopt a design-thinking mindset through compelling activities, projects, and problems that build upon each other and relate to the world around them. Students engage in hands-on activities in computer science, engineering, and biomedical science. Initially developed for K-5, PLTW added PreK in 2018 to engage learners as they first begin entering the school setting. PLTW is committed to engaging more students – including those from underrepresented backgrounds – in STEM, and research supports PLTW’s effectiveness in this area. A national demographic analysis of PLTW students finds that PLTW programs are distributed across the entire economic spectrum, and many schools with high minority and socioeconomically disadvantaged student populations have implemented PLTW with success. The Toppenish School District, for instance, is a PLTW district in rural Washington. Ninety-five percent of its student population is Hispanic and Native American, and 100 percent of students qualify for free or reduced-price lunch. In 2010, Toppenish High School implemented PLTW. Today, all students take at least one PLTW course, and female/male enrollment in the second year of PLTW courses is nearly equal. High-level math and science class enrollment has skyrocketed, and remedial class enrollment has dropped. The district now offers PLTW in all of its schools, and the graduation rate is 97.5 percent, compared to 90.4 percent five years prior. PLTW leverages philanthropic partnerships to expand program access through grants, providing underserved students with access to high-quality STEM learning. For example, PLTW and Verizon have partnered since 2014 to provide computer science curriculum in schools with an average free or reduced-price lunch eligible population of 85 percent, benefiting students in 36 states across the U.S. PLTW also partners with organizations committed to increasing diversity in STEM, such as the National Alliance for Partnerships in Equity (NAPE), the National Center for Women and Information Technology (NCWIT), and the National Action Council for Minorities in Engineering (NACME). PLTW alumna Markie Wagner shared in a recent episode of InspirED, a podcast from PLTW, that career experiences and mentoring opportunities play a critical role in inspiring students to pursue STEM interests, especially for girls and underserved communities. We all have a part to play in opening students’ eyes in order to open doors to endless possibilities, ensuring a better equipped and diverse workforce for the future. Project Lead The Way (PLTW) is a nonprofit organization that provides a transformative learning experience for PreK-12 students and teachers across the U.S. PLTW empowers students to develop in-demand, transportable knowledge and skills through pathways in computer science, engineering, and biomedical science. PLTW’s teacher training and resources support teachers as they engage their students in real-world learning. Schools in all 50 states and the District of Columbia offer PLTW programs. For more information on PLTW, visit pltw.org.